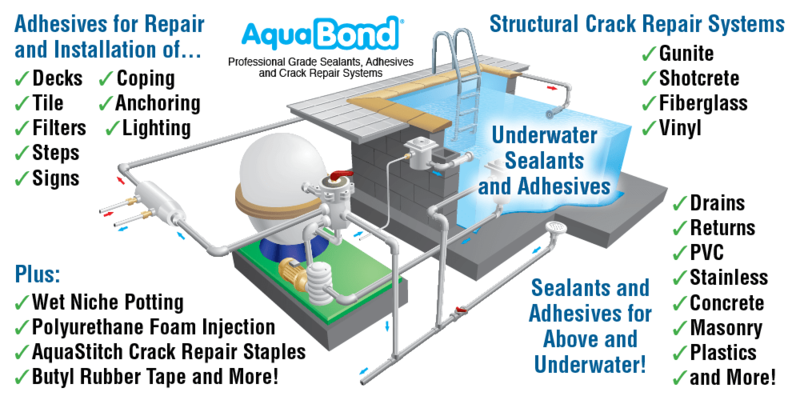 AquaBond® is the nation's premier supplier of professional-grade adhesives, sealants, crack repair systems and tools for swimming pool, spa, fountain and water feature repair and maintenance. 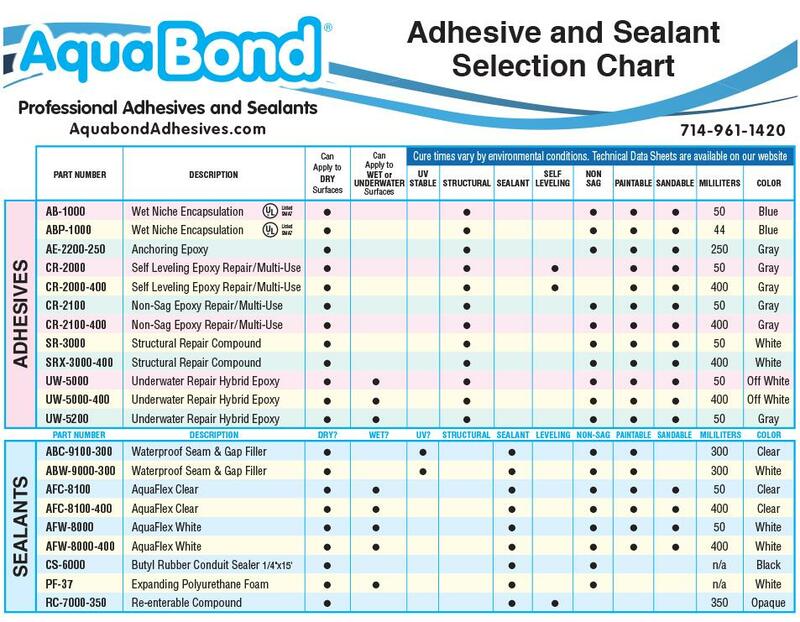 All AquaBond products are formulated for excellent performance whether you're encapsulating the #8 green wire in a swimming pool light niche, repairing coping, fixing fiberglass or vinyl pool liners, repairing leaky pool step gaskets, sealing leaks around light rings, skimmers, main drains and return lines, attaching pool tile, or repairing hoses, pumps or stainless steel filters. We also have outstanding products for concrete crack or fracture repair and stabilization. When you NEED to get it done FAST we have adhesives for emergency repairs... WET, DRY or UNDERWATER! In many cases there's no need to drain the pool or even lower the water level! And most orders placed by 4:00 PM Eastern ship from our New Hampshire warehouse the very same day. We currently ship to the Continental U.S. and Hawaii. 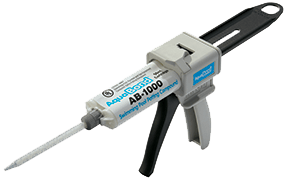 You'll find hundreds of uses for your AquaBond adhesives and sealants whether you're doing pool and spa restoration, renovation, remodeling or maintenance. Pool professionals nationwide use them at hotels, fitness centers, water parks, municipal pools and fountains, schools, colleges, summer camps... and more. Wet, Dry or Even Underwater!